One day, not long ago, an anthropologist named Lila was having a conversation with her friend Zaynab, a rural Egyptian woman. Lila explained that she was planning to write a book about western concern for Muslim women deprived of their rights. Zaynab nodded approvingly, noting that she was regularly on the receiving end of injustice, but when Lila mentioned that coverage of Muslim women focused on Islam as the cause of their troubles Zaynab was shocked. “Everyone knows that the government is the problem!” she replied. This conversation is one of many examples of how the ways that Muslim women see their lives and their problems can be completely at odds with the way they are portrayed to western audiences. Professor Lila Abu-Lughod addressed this problem to a large audience at Simon Fraser University’s Harbor Centre Campus on October 4, discussing this gap, which she has tracked over thirty years of fieldwork in Muslim communities. A Harvard-trained anthropologist currently teaching at Columbia University in New York, Abu-Lughod has focused primarily on the lives of women in rural Egypt. She notes that concerns about the social status of women, even in North America, has been revitalised in the past twenty years — by a focus on women in Egypt and other developing countries. Vivid accounts of forced marriage, female genital mutilation, and other forms of abuse galvanise public sentiment and empower non-governmental organisations. Ayaan Hirsi Ali, the Somali born ex-Muslim author of Infidel and Caged Virgin has popularised a set of beliefs about Muslim women. They have no rights, submitting to an indifferent god and his patriarchal followers, who read women’s inferiority in the Quran. It is the requirements of Islam that keep them subjugated. Implicitly then, if only they could be released from their religion they could be free. North American feminists readily acknowledge that it is dangerous to generalise about women and their concerns. Our challenges and needs are always shaped by other aspects of our identities: economic status, ethnicity, disability, and sexual orientation. Yet somehow these nuances are lost when we speak of Muslim women. Suddenly, across continents, classes, and communities, they are all assumed to have the same problems, rooted in their religion. Abu-Lughod pointed out that such accounts fail to capture the very different ways that religion intersects with individual circumstances to shape women’s lives. Many women in Afghanistan and Iran resent the imposition of burqas and hijabs in the name of religion. 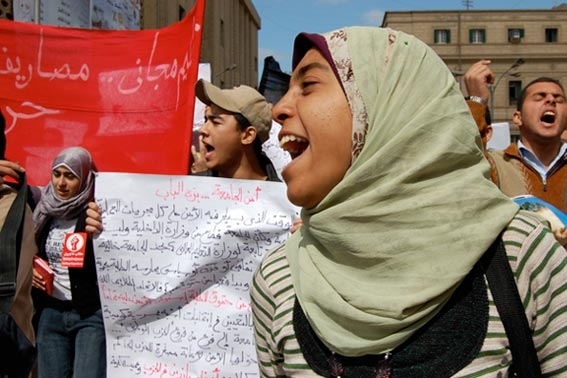 Other women in Egypt and Turkey have been fighting government bans on the wearing of hijabs. But the wearing of coverings is often less weighty an issue for women in Muslim countries than it is for westerners observing them. They are often more concerned with access to jobs and education, and will dress accordingly. Reducing religion to the root of oppression ignores the numerous other meanings it has for women. For many it nurtures personal resilience and brings comfort in times of distress. It can and has been used to combat violence and injustice in women’s lives. Muslim feminists like Afghanistan’s Fawzia Koofi, Malaysia’s Zainah Anwar, or Indonesia’s Farha Ciciek take inspiration from ethical principles in the Islamic tradition that are distinctly at odds with patriarchal interests. Islam can be wielded in favour of women’s rights. Perhaps the trouble is that female equality and freedom are confused with western culture. Women who dress in sexually assertive ways are presumed to be more liberated, while those who appear in more conservative dress must be the captives of oppressive religious regulations. Abu-Lughod told her audience about a New Yorker cartoon picturing three women on the subway: a woman dressed as a nun, a blonde in a bikini, and a woman wearing a niqab. Most of all, any portrayal of Muslim women as passive victims who need to be saved from their religion or culture is not only inaccurate, but a disservice to them. The tension is not between Islam and rights, but rather between different readings of that religious tradition— quarrels over what it means today. It is certainly true that serious violations of women’s rights occur in Muslim countries, as elsewhere. Around the world, women still experience violence and injustice directly related to their sexual identity. There is much that needs to be done. Yet Lila Abu-Lughod warns that we should be suspicious when, in the name of liberation, we are encouraged to focus on other women who are portrayed as living utterly alien lives, in a world unconnected to our history, our actions, and our humanity. Seeing women in Muslim societies and communities as sharing familiar challenges, hopes, and tragedies, and unique individual circumstances opens the door to conversation. The audience promptly started one, raising questions about the effect of the Arab Spring on the rights of women. Abu-Lughod’s response was that this too would affect women very differently depending on their social class, political affiliations, and urban or rural locations. There is no uniform Muslim woman. Mitt Romney makes his pitch to be the next President of the United States. Actor Clint Eastwood makes a strange and unexpected appearance.